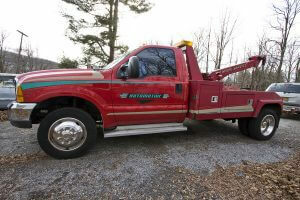 Tow Truck Insurance Cincinnati Ohio-Low Rates and Same Day Coverage Seven Days a Week! If you are looking for Commercial Tow Truck Insurance in Cincinnati Ohio and the entire Tri-State area call Pathway Insurance at 513-662-7000 Monday through Friday to speak with one of our license representatives. Or use our online chat system to speak with a licensed agent seven days per week. Tow Truck Insurance Cincinnati Ohio – Few Options and Higher Prices. Here’s the bad news for Tow Service Companies, Garages, and Car Dealerships. The rates are going up and fewer companies are offering Tow Truck Insurance in Cincinnati now compared to three months ago. A handful of insurance companies have voluntarily exited the market for offering Commercial Tow Truck Insurance in Ohio and a number of other states across the country. One of the largest underwriters for this line of business is expected to resume offering tow truck insurance in the future but it will be at a significantly higher rate. Reports coming in from this company indicate that losses are much higher than anticipated and because of this it was necessary for this particular company to take the drastic action to stop offering Commercial Tow Truck Insurance temporarily. Fortunately, as a broker we can help you find the coverage you need and we stand ready to help you seven days per week. Cincinnati Tow Truck Insurance – Only Brokerage Open Seven Days per Week! Did you know most insurance agents keep banker’s hours? Banker’s hours equal 9-5 Monday through Friday. What if you have an accident on a Saturday or Sunday? What if you find a great deal on a tow truck and need to buy it on a Saturday or Sunday? What if you need to ask a question about your policy on a Saturday or Sunday? What if you need to pay your bill on a Saturday or Sunday? What if you have to file a claim on a Saturday or Sunday? Is your agent available seven days per week? If not, perhaps it’s time to find a new agent! Contact Pathway Insurance Today to Find the Best Service and Insurance Options. Our office is located in Blue Ash Ohio and you can reach us at 513-662-7000 or feel free to stop and visit. *Not all of our insurance carrier partners allow us to add or replace vehicles on the weekends, to process payments, change coverage limits. Our online agents will advise you if we can provide this to you or not. We can file claims seven days per week with all of our carrier partners. Online services provided by our chat system simply click chat on our website and we will help you out!